APPLETON, Wis. — The Lawrence University cross country teams have again been honored for academic excellence by the United States Track and Field and Cross Country Coaches Association. Both squads were named Scholar Teams by the USTFCCCA with the men’s team posting the fifth-highest grade point average in the nation. The men, who were honored for the sixth time in eight seasons, had a team grade point average of 3.63. LeTourneau University led the nation with a 3.80. The women’s team was honored for the eighth consecutive season, all under the tutelage of head coach Jason Fast. The Lawrence women had a grade point average of 3.57, and Greenville College led the nation at 3.84. To be named a Scholar Team, a minimum 3.10 grade point average is required. Men’s cross country standouts Josh Janusiak (South Milwaukee, Wis./South Milwaukee) and Joe Kortenof (Portland, Ore./Lincoln) were both named to the USTFCCCA All-Academic Team. To be eligible for the award, you must have a minimum 3.30 grade point average and finish in the top 25 percent of your NCAA regional championship. A sophomore majoring in Spanish and philosophy, Janusiak was honored the second consecutive season after posting a 3.92 grade point average. Janusiak finished 26th at the NCAA Division III Midwest Regional in 25:26, the fourth-fastest in school history for 8,000 meters. He is the reigning Midwest Conference champion. Kortenhof posted the fifth-fastest time by a freshman in the NCAA regional at 25:55 on his way to finishing 49th. Kortenhof, who has a 3.50 grade point average, is an anthropology major. WINNECONNE, Wis. — Lawrence University cross country star Josh Janusiak raced to 26th place Saturday to pace the Vikings at the NCAA Division III Midwest Regional at Lake Breeze Golf Club. Janusiak covered the 8,000 meters in 25:26, the fourth-fastest time in Lawrence history. He also earned a spot on the all-region team, which is the top 35, and will learn Sunday if he won an at-large berth for the NCAA Division III Championships. Led by Janusiak and freshman Joe Kortenhof, who finished 49th in 25:55, the Vikings placed 20th with 569 points. Kortenhof was fifth among all freshmen in the meet, and the Lawrence duo finished 1-2 among all Midwest Conference runners. North Central (Ill.) won the team title with 37 points. Rounding out the scoring for Lawrence were Ben Schaefer (138th, 27:28), Mayan Essak (141st, 27:33) and Alec Timpe (215th, 32:26). On the women’s side, Lawrence finished 24th with 729 points, and Washington (Mo.) won with 66 points. The top finisher for the Vikings was rookie Christina Sedall, who was 115th and covered the 6,000 meters in 24:10. Hannah Kinzer was 117th in 24:12, and the rest of the scorers were Amy Hutchings (162nd, 25:07), Erin Schrobilgen (167th, 25:14) and Margaret Huck (168th, 25:17). APPLETON, Wis. — The Lawrence University football team wraps up its season on Saturday when the oldest rivalry in Wisconsin is renewed at Ripon College. Lawrence and Ripon have been playing football since 1893, and Saturday’s game marks the 116th meeting between the teams. When and Where: Saturday, Nov. 12, 1 p.m., Ingalls Field, Ripon, Wis.
Series: In a series that dates back to 1893, Ripon holds a 62-46-7 advantage. Ripon hasn’t lost in the series since the Vikings defeated the Red Hawks 25-22 in the Banta Bowl in 1999. Ripon has won 16 straight in the series, which is the longest win streak by either team. Fast Fact: The teams play for possession of the Doehling-Heselton Memorial Trophy, which dates back to the 1988 season. The Red Hawks have a 23-5 edge in the series since the inception of the trophy. The trophy is named for long-time Ripon coach Carl Doehling and his Lawrence rival, Bernie Heselton. Heselton got the best of Doehling as Lawrence compiled a 10-6-1 record against the Redmen (as Ripon was then known) from 1938-55. When and Where: Saturday, Nov. 12, 11 a.m., Lake Breeze Golf Club, Winneconne, Wis.
Fast Fact: Lawrence competes in one of the toughest regionals in the nation, but the Vikings have a pair of runners looking for a spot in the NCAA Division III Championships. The top seven runners that don’t qualify for the national championships as part of one of the qualifying teams also receive a trip to nationals. Sophomore Josh Janusiak, the Midwest Conference champion, and rookie Joe Kortenhof will lead the charge for the Vikings. 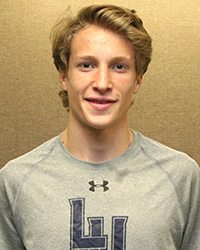 BELOIT, Wis. — Lawrence University cross country standout Josh Janusiak put on a dominating performance Saturday on his way to winning the individual title at the Midwest Conference Championships. Janusiak, a sophomore from South Milwaukee, Wis., covered the 8,000-meter course at the Beloit Club in 25:42 to win by a whopping 27 seconds over second-place finisher John Lennon of Grinnell College. Janusiak’s time was the eighth-fastest in Lawrence history, one tick faster than Peter Levi. Janusiak is Lawrence’s first individual champion in cross country since Sam Stevens won the title in 2011 and is the ninth runner in Lawrence history to win the crown. Led by Janusiak and rookie Joe Kortenhof, the Vikings finished fourth in the team standings with 95 points. Kortenhof placed sixth in 26:36 to earn MWC Freshman of the Year honors and a place on the all-conference team, which is made up of the top-20 finishers. Grinnell won the team title with 33 points. 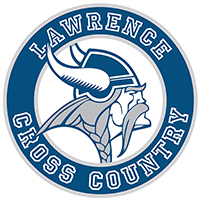 Sophomore Ben Schaefer took 21st for the Vikings in 27:17, senior Max Edwards was 33rd in 28:05 and Ethan Gniot was 34th in 28:05 to round out the scoring for Lawrence. On the women’s side, the Vikings finished seventh with 179 points. St. Norbert took the team title with 43 points. The top finisher for the Vikings was Christina Sedall, who was 25th and covered the 6,000 meters in 24:38. Erin Schrobilgen placed 30th in 24:59, Hannah Kinzer was 34th in 25:08, Amy Hutchings was 43rd in 26:03 and Margaret Huck took 47th in 26:30 to complete the scoring. APPLETON, Wis. — With his shy smile and aw-shucks demeanor, Josh Janusiak has all the earmarks of the boy next door. Make no mistake, the Lawrence University cross country star is no wallflower. Janusiak has proven to a fierce competitor and a thoroughbred who devours the miles, leaving the competition in his wake. He captured his third Midwest Conference Performer of the Week award of the season a few days ago and stands poised to challenge for the league title on Oct. 29. “Given the training this year, the effort put in by everyone and the positivity, I think this year has been very close to perfect,” said Janusiak, a sophomore from South Milwaukee, Wis.
Janusiak holds the fastest time in the Midwest Conference over 8,000 meters at 25:47. He set the conference’s fast time back on Sept. 23 and bettered his own time on Oct. 8. Janusiak posted the highest finish ever by a Lawrence freshman when he took fourth at the MWC Championships in 2015. Along with setting the MWC’s top time, Janusiak captured his first individual title when he won Lawrence’s Gene Davis Invitational at Reid Golf Course on Oct. 8. While Janusiak has clearly upped his game, he quickly gives an assist to rookie teammate Joe Kortenhof. A freshman from Portland, Ore., Kortenhof holds the third-fastest time in the league this season at 26:08. In addition to those two, the Vikings also have Appleton native and two-time all-conference runner Max Edwards, who was eighth in the league a season ago. Sophomore Ben Schaefer earned all-conference honors after finishing 14th as a rookie in 2015. 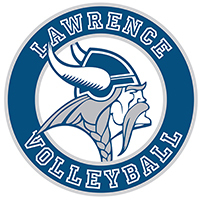 With Janusiak leading a strong squad, the Vikings are looking to challenge favorite Grinnell College in a bid for Lawrence’s first league title since 2011. Could history could repeat itself when the MWC Championships are held at The Beloit Club on Oct. 29? When the Vikings won the title in 2011, Lawrence’s Sam Stevens was the individual winner. With Janusiak, Kortenhof, Edwards and Schaefer running near the front, the possibilities look good for the Vikings. “We’ll definitely be in the mix for the title at the conference meet. A lot of it comes down to each person doing their part. Recognizing that even if Josh achieves his goal, we need four other guys to finish in quality positions,” Fast said. 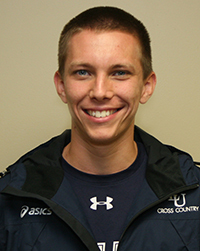 APPLETON, Wis. — Lawrence University cross country star Josh Janusiak has been named Midwest Conference Performer of the Week for the third time this season. Janusiak (South Milwaukee, Wis./South Milwaukee) has captured the award after each of his last three races. Janusiak took this week’s award after finishing 55th at the massive Kollege Town Invitational at Lake Breeze Golf Club in Winneconne, Wis. Competing in a field of 550 runners, Janusiak covered the 8,000 meters in 26:11 to finish 19 seconds ahead of the next-closest runner from the Midwest Conference. Janusiak also won the award after setting the league’s fastest time at the Brissman-Lundeen Invitational in Rock Island, Ill. He took the honor again after bettering his mark for the conference’s best time on his way to winning Lawrence’s Gene Davis Invitational. The Vikings are off this week and return to action at the Midwest Conference Championships in Beloit, Wis., on Oct. 29. WINNECONNE, Wis. — Josh Janusiak raced to 55th place Saturday to lead the Lawrence University cross country teams at the massive Kollege Town Invitational. Competing in a field that featured 37 teams and 550 runners, Janusiak covered the 8,000-meter course at Lake Breeze Golf Club in 26:11 in brisk and windy conditions. Led by Janusiak, the Vikings finished 25th in the team standings with 706 points. Freshman Joe Kortenhof was next for the Vikings in 118th place in 26:55. Ben Schaefer took 152nd in 27:30, Mayan Essak was 190th in 28:20 and Mik Patel was 191st in 28:20 to round out the scoring. On the women side, Lawrence finished 27th with 825 points. Hannah Kinzer was the top finisher for Lawrence as she took 118th in 24:02. The next three runners were tightly bunched as Christina Sedall was 162nd in 24:47, Margaret Huck was 166th in 24:51 and Amy Hutchings was 171st in 24:56. Molly Doruska rounded out the scoring by finishing 208th in 26:12. APPLETON, Wis. — Lawrence University cross country star Josh Janusiak was named the Midwest Conference Performer of the Week after winning his first collegiate title. Janusiak (South Milwaukee, Wis./South Milwaukee) took first place at Lawrence’s Gene Davis Invitational this past Saturday. The sophomore covered the 8,000 meters at Reid Golf Course in 25:48 to win by nine seconds. Janusiak also set the fastest time in the Midwest Conference this season, bettering the mark he had set two weeks ago by six seconds. 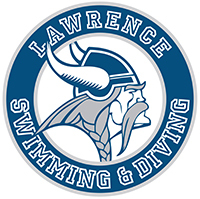 Led by Janusiak, Lawrence finished fourth in the team standings, and the Vikings were the top finishers among the three Midwest Conference schools taking part. This marks the second time this season that Janusiak has claimed Performer of the Week honors. He won the award on Sept. 27 after posting the league’s fastest time at the Brissman-Lundeen Invitational in Rock Island, Ill.
Lawrence returns to action on Saturday when it travels to Winneconne, Wis., for the Kollege Town Invitational at Lake Breeze Golf Club. APPLETON, Wis. — It’s a busy Fall Festival week for Lawrence University athletics as football and volleyball host events this weekend. Lawrence also will induct six new members, Kolade Agbaje-Williams, Chris Braier, Claire Getzoff, Lis Pollock, Katie Wilkin and Stan Preston, into its Intercollegiate Athletic Hall of Fame on Friday. When and Where: Tuesday, Oct. 11, 7 p.m., Flood Arena, Beloit, Wis.
Series: Lawrence has defeated Beloit four consecutive times, but the Bucs hold a 12-9 edge in the series since 1999. When and Where: Friday, Oct. 14, 7 p.m., Alexander Gymnasium. Series: Lawrence won in 2015 to snap the Foresters’ four-match win streak the series. The teams have split the last 10 meetings going back to 2008. When and Where: Saturday, Oct. 15, 1 p.m., Alexander Gymnasium. Series: Ripon holds a 45-15 advantage in a series that goes back to 1980. The Red Hawks have a current two-match win streak in the rivalry. Fast Fact: Junior Cyra Bammer posted a career-high 35 digs in Lawrence’s 3-0 win over Knox this past Saturday. The Vikings held Knox and Monmouth to a combined .090 hitting percentage in the two matches. Lawrence head coach Matt Schoultz picked up career win No. 100 with the victory over Monmouth. When and Where: Wednesday, Oct. 12, 6 p.m., Schneider Stadium, De Pere, Wis.
Series: In a series that dates to 1982, St. Norbert holds a 38-12-5 advantage, and the Green Knights are on a current six-game winning streak in the rivalry. When and Where: Saturday, Oct. 15, 1:30 p.m., Cornell Soccer Complex, Mount Vernon, Iowa. Series: Cornell holds a 3-1-0 lead in a series that started just four years ago. 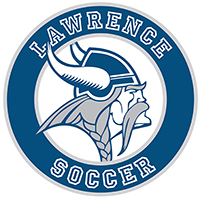 Lawrence’s lone win was a 1-0 victory in 2015. When and Where: Sunday, Oct. 16, 1:30 p.m., Springer Field, Grinnell, Iowa. Series: Grinnell has a 14-8-1 lead in a series that started in 1988. Lawrence won 2-1 in 2015, breaking Grinnell’s four-game win streak in the process. Fast Fact: Lawrence is in the middle of a long 11-day break in the schedule. The Vikings haven’t played since their Oct. 1 match against Lake Forest. When and Where: Saturday and Sunday, Oct. 15-16, Nielsen Tennis Stadium, Madison, Wis.
Fast Fact: Lawrence finished one game out a spot in the four-team Midwest Conference Tournament. The Vikings’ 5-4 loss to Lake Forest put the Foresters in the tournament and kept the Vikings out. Lawrence did defeat Ripon this past week to run its win streak against the Red Hawks to 13. When and Where: Saturday, Oct. 15, 10:30 a.m., Lake Breeze Golf Club, Winneconne, Wis.
Fast Fact: Lawrence super sophomore Josh Janusiak already owned the fastest time in the Midwest Conference, but he went eight seconds faster at the Gene Davis Invitational last Saturday. Janusiak ran a time of 25:48 to grab first place and his first individual collegiate title. When and Where: Saturday, Oct. 15, 11 a.m., Cornell Soccer Complex, Mount Vernon, Iowa. Series: Lawrence has a 2-1-1 advantage in the series that started in 2012. When and Where: Sunday, Oct. 16, 11 a.m., Springer Field, Grinnell, Iowa. Series: Grinnell has a 12-6-2 lead in a series that started in 1989. The Pioneers have won the last four matches, and Lawrence’s last victory was a 2-1 overtime win in 2011. Fast Fact: Lawrence experienced a few firsts last week, as Jawad Alweleidat, Yuta Hayashi and Sam Parkhurst all scored their first career goals in an 8-0 win over Maranatha Baptist. Alweleidat scored three times in the match for his first career hat trick. Sophomore goalkeeper Robert Meiser, subbing for an injured Joe Krivit, picked up his first career win at Lakeland and followed that with his first career shutout against Maranatha. When and Where: Saturday, Oct. 15, 5 p.m., Ron Roberts Field at the Banta Bowl. Series: St. Norbert holds a 27-13-2 lead in a series that dates back to 1916. The Green Knights have won 18 straight dating back to 1998. Fast Fact: This marks the second straight week Lawrence has faced an opponent that remains unbeaten in Midwest Conference play. The Vikings were at 3-0 Macalester last Saturday. Lawrence is 40-29 in homecoming games dating to the end of World War II. 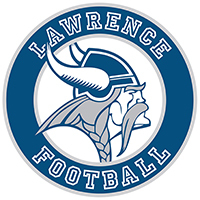 Lawrence’s last homecoming win was a 21-13 win over Beloit in 2014.